For many months now there's been speculation about Nokia re-entering the smartphone space in 2016, after the non-compete clause embedded in the sale of its smartphone division to Microsoft expires. And after initially denying it, even the Finnish company's CEO said we should in fact expect to see some Nokia-branded handsets next year. The first of those could be the C1, allegedly depicted by the leaked renders you can see below. 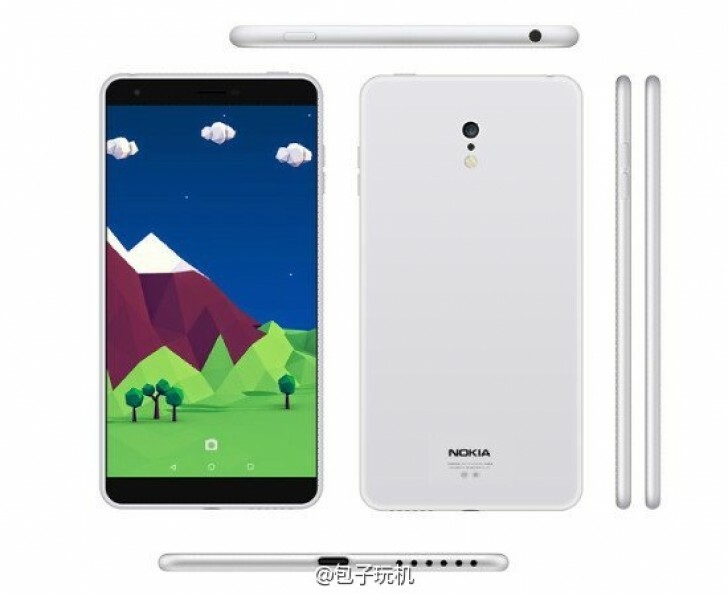 A word of caution: these have been posted on Weibo (China's Twitter equivalent) and there's no way to tell if they're really leaked renders of the new Nokia phone or simply what someone hopes this will look like. Do keep in mind that another alleged render of the C1 turned up last December and was immediately debunked as being nothing more than a concept. Assuming this is real, the Nokia C1 will complement the already launched N1 tablet in the company's portfolio. That said, like the N1 it's expected to be produced by another company, with Nokia being involved in the design and granting a license for the use of its name. No specs for the C1 have been outed this time around, but previous mumblings talked about it sporting a 5-inch 720p touchscreen, an 8 MP rear camera, a 5 MP front snapper, and an Intel processor aided by 2GB of RAM. What can be gathered from the renders is that it will use a unibody construction, though it's not entirely obvious whether we're looking at plastic or metal. The C1 seems pretty thin too.